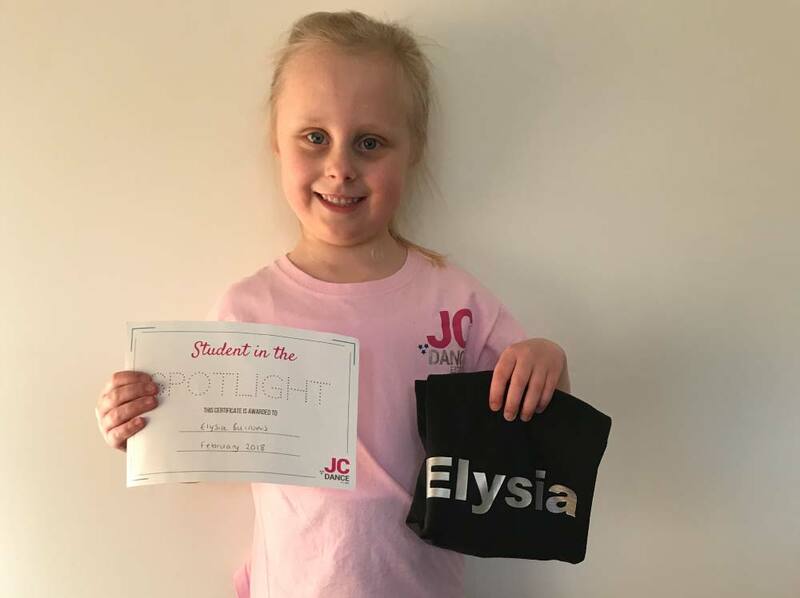 Elysia has been dancing at JC Dance since 2015 and attends our Little Stars Pop class. Elysia was nominated by her teacher Lucy because she “is always on it, knows the routines and is just fabulous!” Elysia is a joy to watch in shows as her enjoyment of dance and performing comes across so much… I can’t wait to see her in Showcase 2018! When asked what her favourite thing about dance was, Elysia replied ” learning new things” … Well done Eysia!